AIR Manjeri FM Live Streaming online . Listen 40 Malayalam radio stations online . 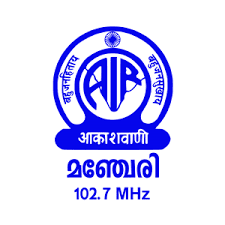 AIR Manjeri is an FM radio station located in Manjeri, operated by All India Radio. It broadcasts programs varying from news to entertainment and its broadcast area covers the Malappuram district and some parts of Kozhikode, Wayanad and Palakkad. According to the statistics of All India Radio, there are approximately 60 lakh listeners.